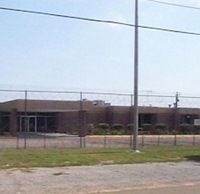 Hamilton aged and infirmed facility in Alabama houses up to three hundred inmates. This facility houses minimum to medium security inmates who are considered aged or have a weakness or illness that effects the mind or body. Medical treatments and palliative care is given at this facility and some minimum security inmates help in the day to day operations that take place. This is a tobacco free facility, do not try and bring any cigarettes into the facility as it could result in you being arrested. Many different things have been said about the care given at this facility, some claim the care is good, while others have stated extreme disappointment. It is hard to get an accurate account of the quality of care because many of the inmates can be in the final stage of life. Visitation for Hamilton Aged and Infirmed has recently changed, please contact the facility directly at the telephone number provided for more visiting information.